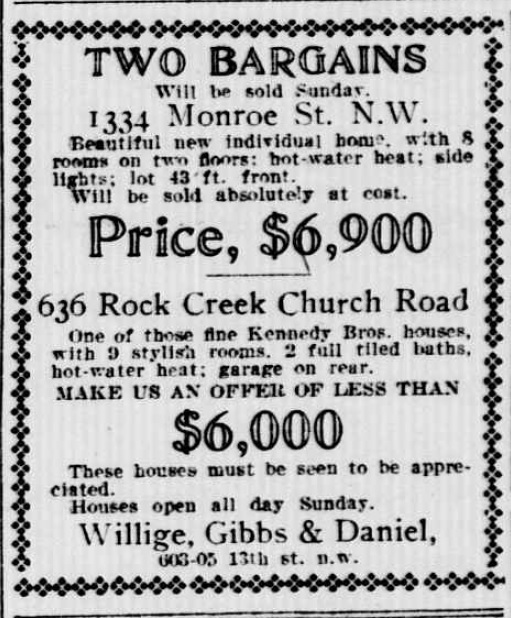 Looking at Historic Garages in Park View | Park View, D.C.
1911 real estate ad from the Evening Star identifying a garage at 636 Rock Creek Church Road, NW. One of the things that is interesting about Park View’s original development is how automobiles impacted it. The neighborhood south of Otis Place was largely constructed before personal automobile ownership became common place. In fact, in that section of the neighborhood one is more likely to find the occasional stable — a rather fine example being the horse stable that served the Tenth Police Precinct. The area north of Otis Place was developed by Kennedy Brothers beginning in 1909. Their development (named Princeton Heights) was developed from 1909 to 1917 and coincides with the growth of personal car ownership. In the District, there were 4,833 residents with registered vehicles in 1914. This rose to 8,009 in 1915. From 1916 to 1919, ownership continued to rise, from 13,118 to 35,400, respectively. By 1920, Washington had one vehicle for every 10.73 residents, ahead of the national average of 14.14 persons per car. What one learns when looking at how Princeton Heights was built out is that the original houses on the south side of the 600 and 700 blocks of Rock Creek Church Road and the 700 block of Quebec Place were all built with no accommodation for personal vehicles. This began to change as soon as new residents moved into the community. The earliest evidence of a private garage building in the Princeton Heights development is a real estate add from 1911 that features a “garage on rear” for 636 Rock Creek Church Road. 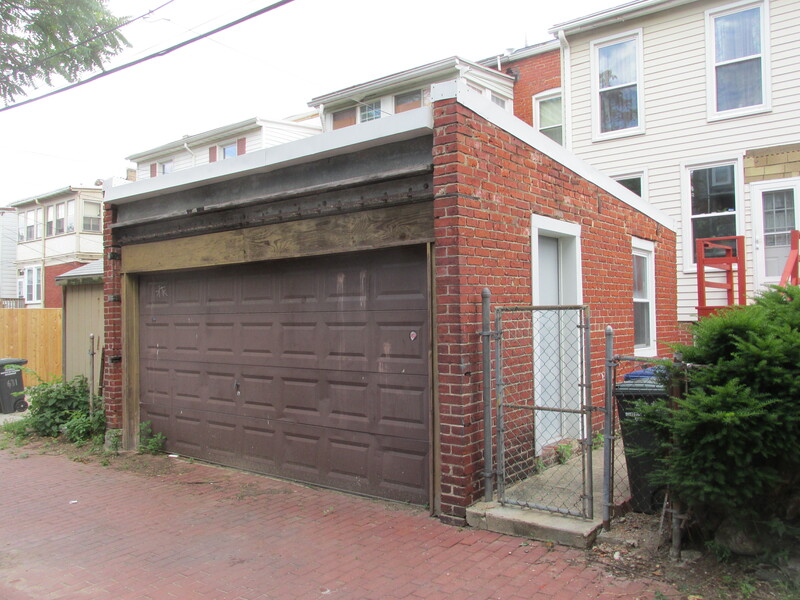 Slowly, other homeowners began to construct garages in the rear of their properties too. 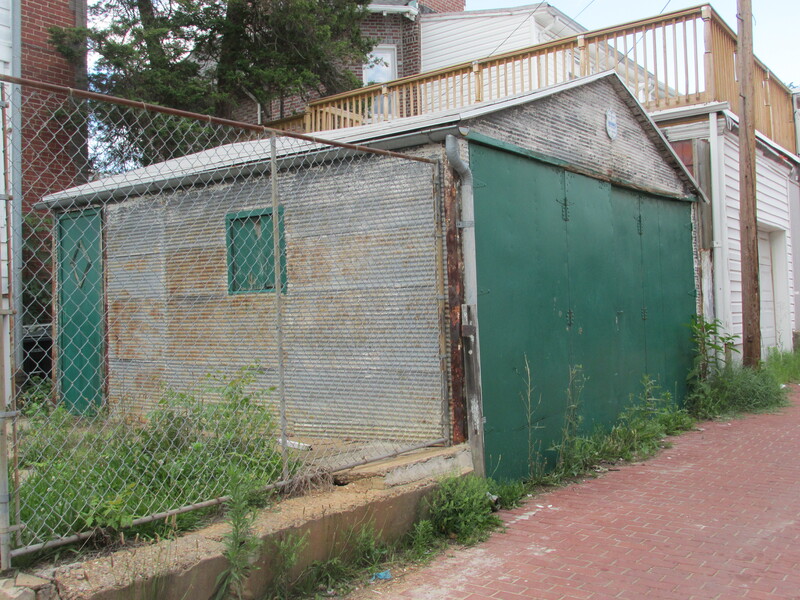 In response, Kennedy Brothers began to incorporate attached garages into some of their house designs, with the first being 3640 Warder Street constructed in 1914 (the southwest corner of Warder and Quebec Place). Moving forward, Kennedy Brothers began to include attached garages in their semi-detached corner houses with one notable exception. When building the row of houses from 3664 Park Place north to 608 Rock Creek Church Road, every house in that row contained an attached garage. For those who purchased houses prior to this change in construction, or who later decided that they wanted a garage afterall, the private detached garage was still an option. 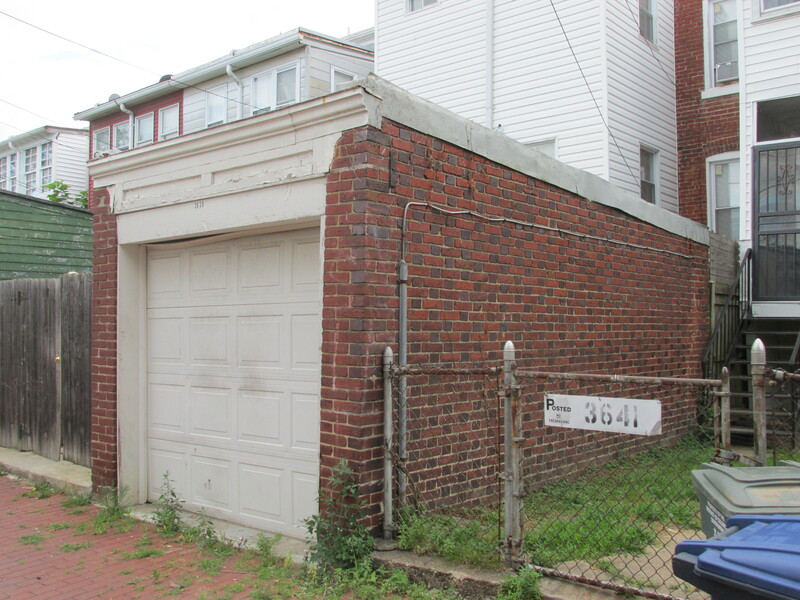 Of the four oldest garages in the area, three of them were built by Kennedy Brothers in 1914 and 1915. These were constructed of brick and can be found behind 633, 634, and 624 Quebec Place. A quick survey of the alleys in the four Princeton Heights blocks between Princeton, Georgia, Rock Creek Church, and Park Place — both in person and on old maps — indicates that there were once about 46 private detached garages in the neighborhood. Of these 18, or roughly 39%, still remain today. 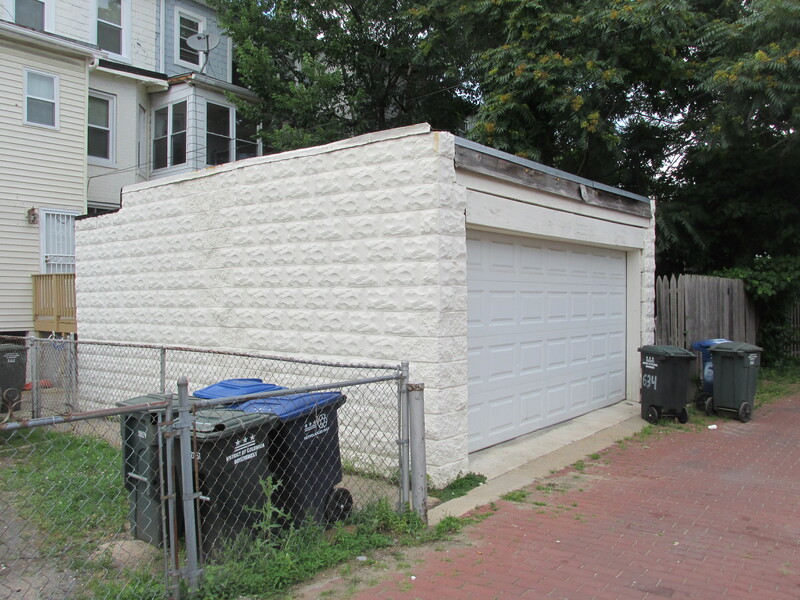 Considering that many garages were more modest and not constructed of more durable materials, it is not surprising that many of these are now gone. Below is a sample of some of the garages that remain. 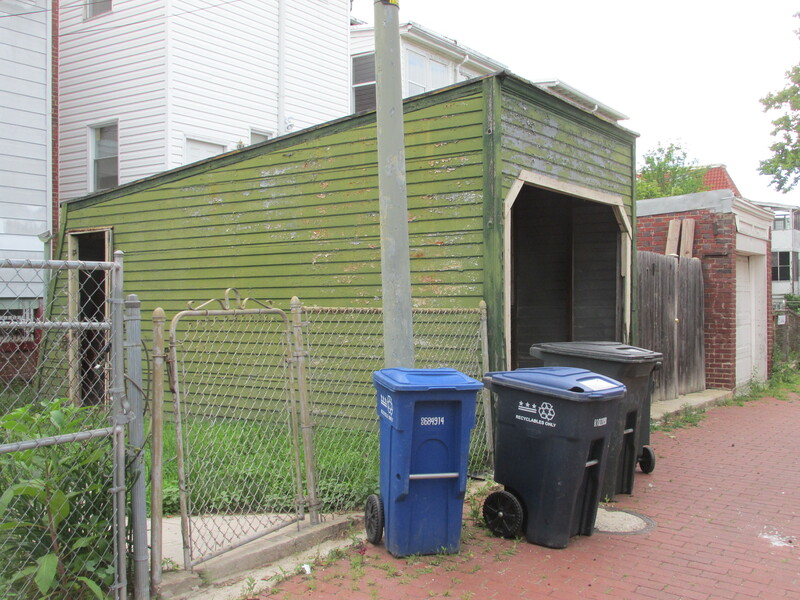 This entry was posted on June 17, 2015 at 7:01 am and is filed under alleys, Architecture, History. You can subscribe via RSS 2.0 feed to this post's comments. Thanks, Kent – what an interesting piece. There are a number of detached garages just south of Otis as well. I wonder if all or most of the homes near me (3546 Warder) had garages at one time.